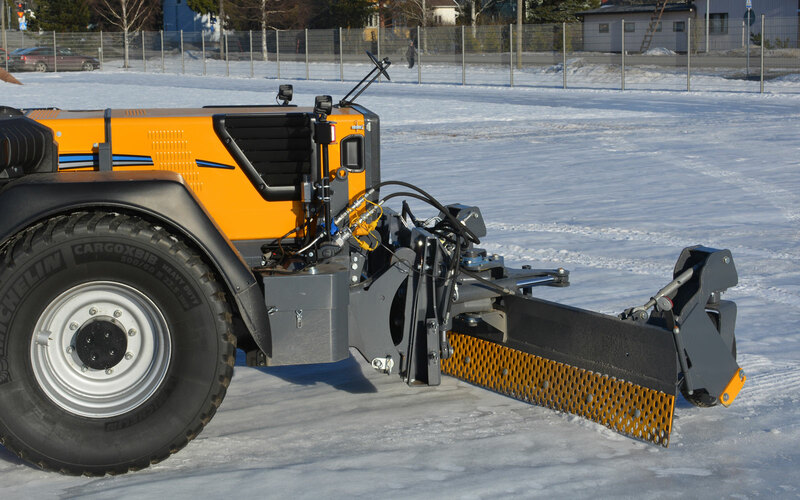 Use the hydraulic rear blade for roughening the surface of streets, cycle paths and parking areas. 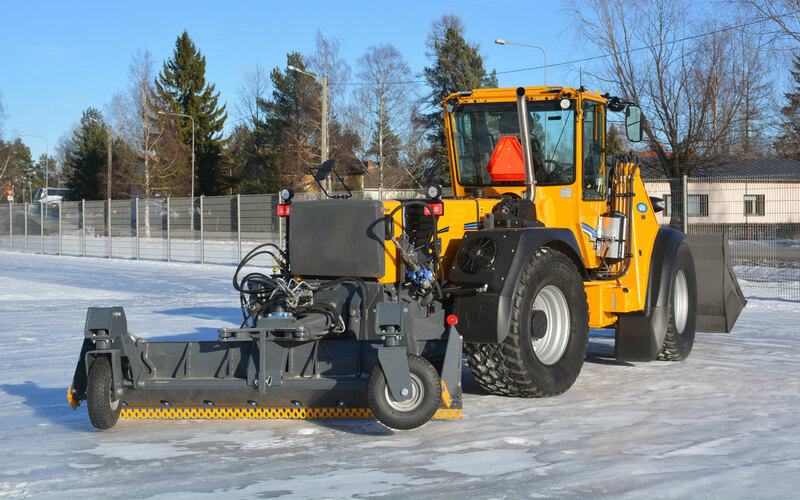 Roughening reduces the need for spreading more sand, as the existing sand will be exposed from under the ice The punched blades help level the uneven surface of frozen slosh. 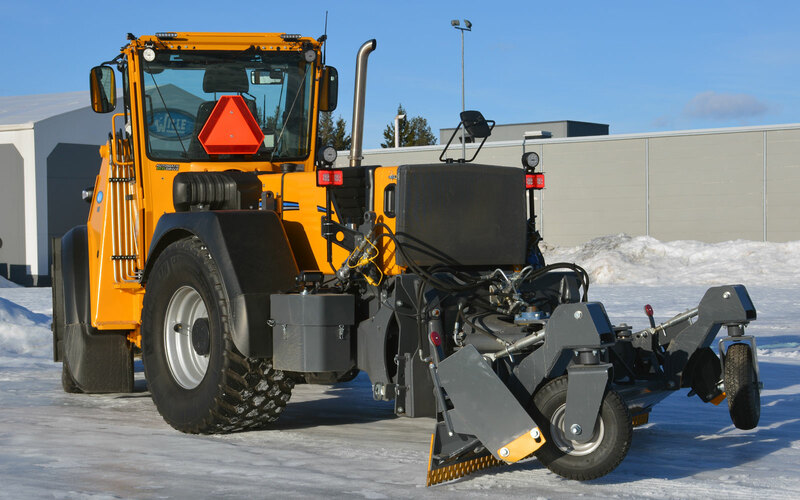 Rotary bits allow you to reduce slipperiness even from froze road surfaces. In summer use the rear blade can be used to roughen and remove any uneven spots on gravel roads.